Pristine beaches, celebrated dining, lush hinterland and luxury attractions – everything Australia does best is best done on Queenland’s Gold Coast. And the beauty of it? You can pack plenty of this iconic Aussie destination into just 48 hours. Check in to the opulent Palazzo Versace, a Gold Coast institution. Secure your cabana for an afternoon of sunbathing and cocktails before popping by your suite for a quick change in preparation for a stylish seaside brunch. Time to take flight. Soaring above sea and sand, your Cloud 9 Seaplane is headed for a private waterside spot where a bottle of bubbles will turn up the luxe factor. Kick on with sunset cocktails at Rick Shores, a bona fide Burleigh Heads hotspot, before moving on to The Fish House, where the combination of award-winning fare and postcard-perfect views will leave you swooning. Up, up and away! Tick hot air ballooning off your ‘basket’ list and enjoy the glamorous Gold Coast from above. Stunning shoreline, lush hinterland and rolling countryside come together in this jaw-dropping vista. The Champagne breakfast overlooking a vintage-inspired vineyard completes the pinch-me moment. Now it’s time to explore the verdant hinterland of Tamborine Mountain by foot. The Curtis Falls circuit is a relaxed option taking in palm-dotted rainforest, scrambling brush turkeys and the refreshing mist of waterfalls tumbling over the rocks. 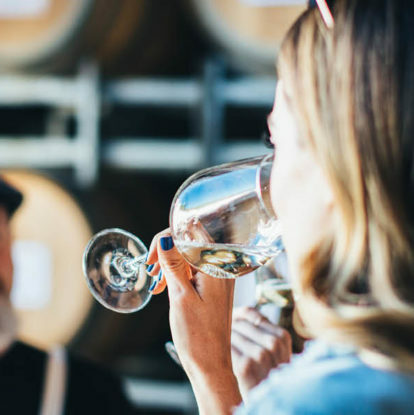 For lunch, head to Witches Falls Winery for a vino and cheese platter or perhaps you’d prefer a picnic on the idyllic Mason Wines Estate veranda? Indeed, why not squeeze in both? Your 48 hours of luxury wraps up at Gwinganna Retreat, where calm beckons. Detox with a blend of spa and relaxation treatments and delicious organic cuisine in Gwinganna’s exclusive low-tech environment. And for your final farewell, a dreamy sunrise over the Pacific Ocean.